I have been making Brandon say “thank you” every time I’ve done something for him for months now. I don’t know how sincere it is, when I’m prodding it out of him, but he says it just the same. But today was the first time he said it on his own, without me telling him to. 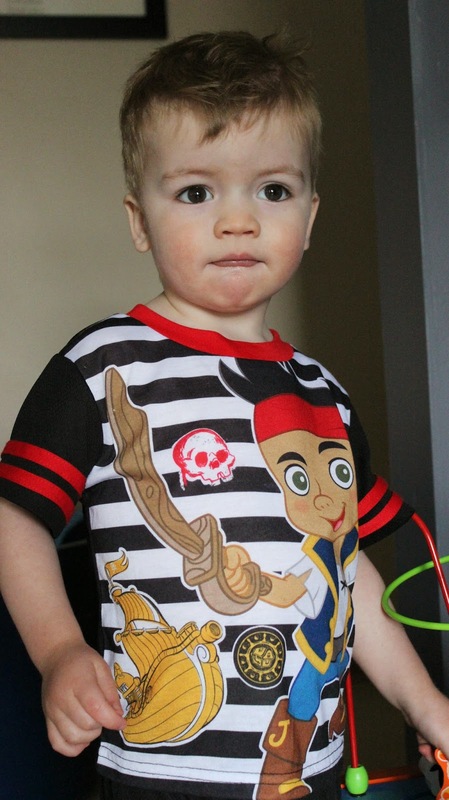 He is pretty obsessed with Jake and the Neverland Pirates so I bought him a pajama set last night and he wore it to bed, pretty pumped up. This morning, he pointed to his shirt and said, “thank you, mama.” Not once or twice, but three times. My son has learned gratitude and thankfulness. I am beaming with joy.